This page contains various development notes for the Dragonborn Map. 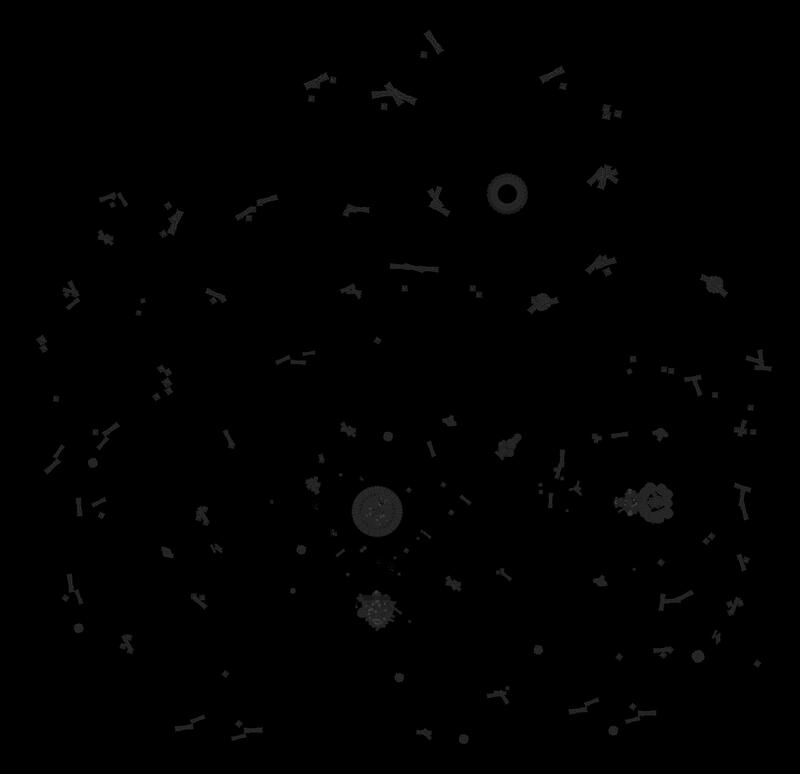 Further notes on the map itself can be found in the Skyrim Map Design and Oblivion Map Design articles. Apparent range is (-64,-64) to (128,128) although much of the area is blank or filled with unused areas of Morrowind/Skyrim. Actual usable map range for Solstheim is (-40,-64) to (80,128). This could be made smaller if just the island map tiles are desired. Total exported map images is 27985 with 687 missing tiles comprising around 27GB. Final map files number 175k and are 400MB in total size. Apparent range is (-50,-50) to (54,50) with an actual used range of (-14, -6) to (15, 23). Total exported map images is 10550 with 58 missing tiles comprising 2.7 GB. Does not need to be made into an online map, just as a static image. Use the World--Create Local Maps option in the Creation Kit to export map images for the relevant region. Use 512 image size if you wish a maximum zoom level of 17 or 256 for a maximum of 16. The CK will crash regularly due to running out of memory. Use manual X/Y ranges and export in pieces as needed to get all cell images. Convert the DDS files to TGA. Rename the X/Y format file names to the Google maps format of solstheim-X-Y-ZOOM. Crop the 512x512 images to four 256x256 images for zoom level 17. Save as JPEGs at the same time. Starting from zoom level 17 create all the subsequent zoom levels by combining four adjacent images and resizing by 50%. Export all map markers from Dragonborn.esm using modified source code from SkyEdit. Fill in exported location details and import into a new database/table db_map_data.mapdata the same format as existing map tables. Export map tiles as above at a size of 256. Convert DDS files to TGA. Rename the X/Y format file names to the Google maps format of apocrypha-X-Y-ZOOM. Starting from the original zoom level of 16 create all the subsequent zoom levels by combining four adjacent images and resizing by 50%. Combine all images in zoom level 16 with the indexes of (36,27)-(66,56) into one large image (7k x 7k pixels in size).